A large number of protestors have gathered at Ennis Courthouse this afternoon. 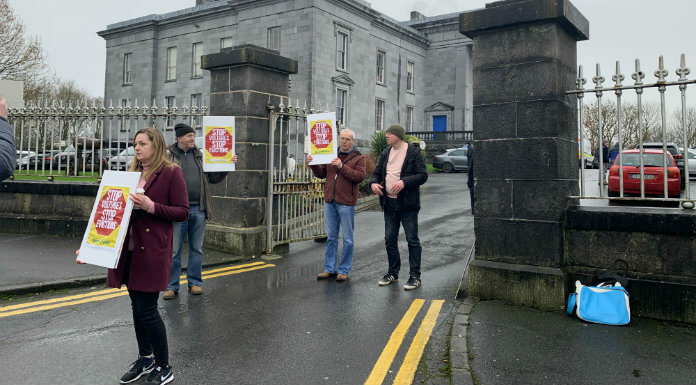 The demonstration coincides with a case being heard before the Circuit Court in connection with an eviction in Corofin in 2015. There’s also a large Garda presence there but no incidents have been reported.